Shock waves are acoustic waves carrying a high amount of energy through the tissues, that irradiate in the body until reaching the sore area. Shock waves are characterized by a rapid change in pressure, with great amplitude and non-periodicity. The amount of energy that is transferred to the tissue is much higher than the energy produced by ultrasounds. Our body reacts to the shock waves passing through it by increasing the metabolic activities in the treated area and facilitating the reduction of the inflammation caused by an analgesic effect induced by the local release of endorphins. The healing process is thus stimulated and accelerated. Our devices emit a radial (ballistic) shock wave, since the wave is generated by a special pistol-shaped probe, whose barrel is closed at its end by a metallic cap; a steel bullet is shot against this cap using compressed air (max pressure 5 bar). and in the underlying layer of tissue, or in a more focused way. Trochanteric bursitis: What it is and how to treat it. The trocha [EME Borsite-pertrocanterica] nteric bursitis is a femur inflammation; its name belongs to its effects on the mocous bursitis of the greater trochanter. Bursitis can strike indiscriminately sedentary subjects and sports people. Middle-aged people, overweight people, or people having problems arising from the alteration of walking mechanisms (subjects with rheumatoid arthritis, osteoarthritis, lower limb length discrepancy etc.) are certainly the most affected by such pathological condition. Moreover, bursitis frequently affects females because of the length of the basin and the resulting increase of the tension-tendon structures. As mentioned, however, this condition can also affect the more athletic, usually because of incorrect or repetitive movements and falls, especially goalkeepers but also runners, skiers and wrestlers. In this case, the only care that people can follow to prevent bursitis is a good warming before physical activities and, specifically for runners, choosing a good soil. Bursitis is manifested by pain, usually bearable but continuous, that is felt stronger when performing certain daily activities like climbing stairs up or down or crossing legs. Although this medical condition is not particularly debilitating should not be underestimated and it would be necessary to ask for medical advice in order to not aggravate and prolong the healing time. 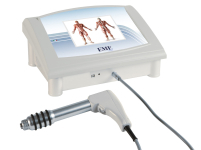 For the resolution of the painful condition, in addition to the use of anti-inflammatories and stretching exercises and rehabilitation, for more serious cases or simply for sportivs for whom recovery time is critical, it’s possibile to use the endodiatermia (tecar), the high power laser and shock waves. These technologies can also be used in combination, as happens for high power laser and tecar, in order to obtain a radical resolution of the problem. 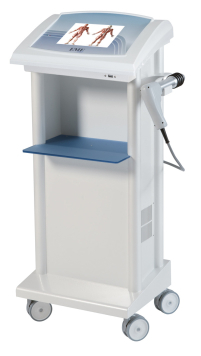 The high power laser is ideal for the treatment of inflammatory or degenerative pathology because it has biostimulant, analgesic, anti-inflammatory and stress relieving effects.